Alas, I wasn't able to get the image I wanted, the very start of the Tour. Seems the cameras went off line at the front of the peloton and it took some time to get the links sorted. By then, the lead group of three, Kevin Ledanois (Fortuneo-Samsic), Yoann Offredo (Wanty-Groupe Gobert) and Jerome Cousin (Direct Energie) had gotten off the front fot the first break away of the 2018 Tour de France. Naturally they represented three wild card teams, and all Frenchmen on French teams to boot. 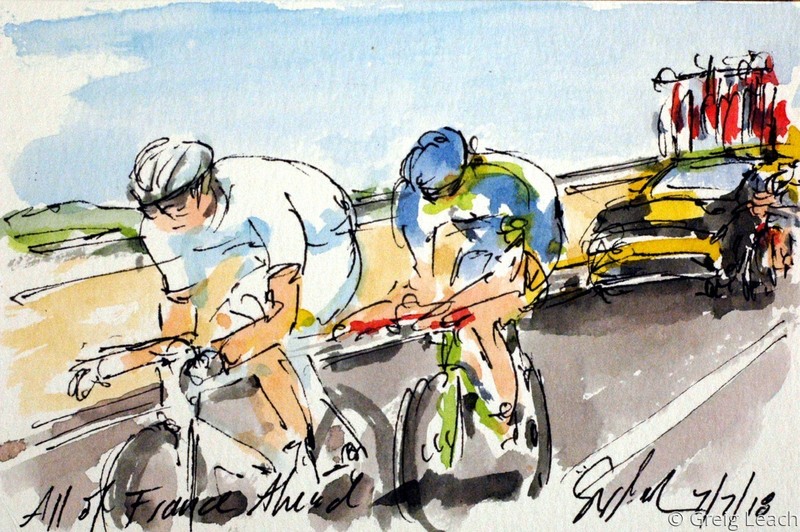 The title comes from the fact that they are just coming off a bridge that links the start island in Noirmoutier en L'Ile to the mainland, and that all of France will be covered in the next three weeks by the peloton.